In the heart of the Sinnoh region, panic has begun to slowly spread amongst the people. While Palkia's location has been hidden by the Order of Palkia to prevent anyone from further harming or attempting to catch the stricken Pokemon deity, the rumors have already circulated throughout the land. And in areas of the land, space distortions have come and gone, causing small earthquakes and other unnatural weather phenomena have struck towns and wild lands in short yet violent bursts. The Order has issued a plea of assistance that anyone possessing a pink jeweled shard bring it to them. Those that are verified to have an authentic shard were to be given a reward. However, this offer for a reward had inadvertently caused crime to start breaking out as groups of greedy humans desired to hunt down shard owners and hold the shards ransom in a bid for wealth and power. The gym leaders and Elite Four do their best to aid the police and the Order. but these criminals known as 'Team Warlord' have been both evasive and violent. But weather disasters were not the only things the rift flashes brought. Several humans from a world where Pokemon do not exist outside of video games and cartoons, are about to end up being pulled into the world of Pokemon, pulled there from the shards that were cast into a different spacial dimension. And now the fate of both the Pokemon world and the Real world lies in the hands of the shard bearers. 1. No Legendaries in your team, and no meeting legendaries. The only ones who have met a legend and know where said legend is are those of the Order. 2. No Godmoding, no killing, no weapons. If you had weapons with you before (ie. a US soldier in Iraq), your weapons are left behind in the 'real' world. 4. Rare Pokemon and Shiny pokemon are just that: rare. If you cannot acquire it in game by simply fishing, going through grass or going through a cave and have to specially acquire it (given egg, secret item, etc. ), then it's rare. You are allowed 2 rare Pokemon total in your party, and only 1 shiny. 5. Pokemon have access to all of their level moves. They may have access to one Egg move and two TM/HM moves, for a total of 3 non-level moves. 6. Romance and violence is allowed, but keep things PG-13. Be sure to keep cussing to a minimum. 7. If a shard bearer from the Real World loses possession of his or her shard, their connection to the Pokemon world will start to fade. If they do not reclaim possession of the shard in 48 hours, they will fade away from existence. 9. 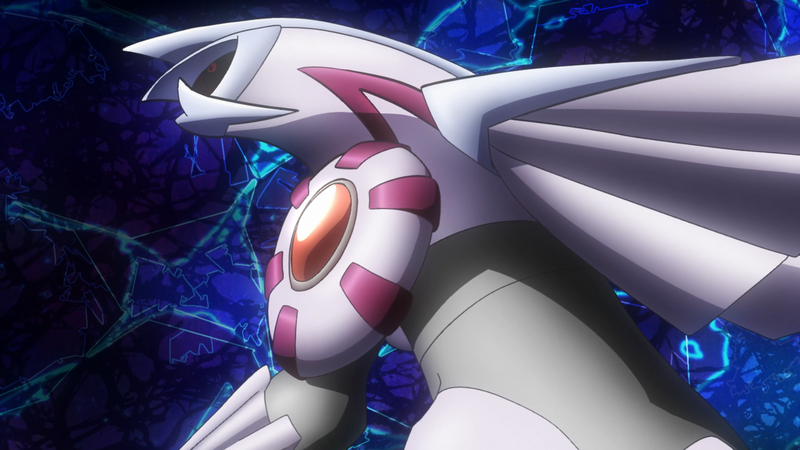 If the shards do not reach Palkia in 30 game days, Palkia will die, and all worlds and universes will start to fall apart until nothing is left. Three hours sitting in the back of a canopied 5-ton on a bumpy road. It was a good thing Kevlar helmets were required, otherwise we'd be smashing our skulls into the canopy beams above us. The fact that shocks were substandard of these monstrous trucks didn't help any. Headaches as sore rumps were the only things we'd have by the end of this supply run. On the bright side we'd get a few days of rest before we'd be put to work. Still, I'd much rather have ridden in one of the choppers than a ground transport, but these guys needed a medic and, as usual, I got volun-told to go. We passed the time joking about how poorly the medics were outfitted. That's right, the infantry get all the best toys and the medics get the Humvee with plastic cloth for doors to transport food from the DFAC to the hospital. Of course the fact that I was a medic was enough to confirm that. Thankfully I was being transported by the marines. These guys were armed with 50 cal rifles and machine guns atop their vehicles. Since tanks aren't fast enough, we didn't have any on this convoy. All the better I suppose. The sooner we get to the green zone in Baghdad, the sooner we can all take a little breather. Suddenly we heard the sound of an explosion before us. Every vehicle stopped and everyone, including myself, flooded out of the 5 Tons like a hornet's nest. marines started laying down cover fire as the terrorists came out and started shooting down at us form the right flank. I locked and loaded my M16 A2 and began dragging off casualties from the lead trucks and Humvees, quickly using my first aid kits to stop the bleeding before I could transport them to the rear 5 Ton. One of the guys was already calling in a 9-line to give a status report and isolate a drop zone for the Black Hawks to evac the injured. Looks like headaches and sore rear ends were going to be the least of our problems. As the battle raged on, no one saw the RPG that was fired at the rear vehicle where i was taking the wounded to. I heard it and as I turned my head, I saw it. I knew there was no escape at that point. I could only pray to Anubis that my death would be quick and painless as my life seemed to flash before my eyes. At the same time, no one seemed to notice the clouds gathering above us all. Everything went black. I felt like every cell in my body was being tossed through a rusty cheese grater. I wanted to scream in pain but I couldn't open my mouth. Then I felt my body land. I didn't know where I was, if I was alive or not. No, I was pretty sure I was dead. That thing was heading right towards me and I couldn't move, and anything within a 25ft radius was a kill zone for that grade of explosive. And yet, I could feel grass touching my hands below me. Grass? In the fricken desert? Did I land next to an oasis? Then I felt something poke my shoulder. It felt like an animal's paw. great, so now I was about to become food for some wild animal. As I opened my eyes, what I saw was something I would have never expected to see. Ever. A Riolu was looking down at me. "Okay, this must be the afterlife." I muttered to myself. It ran as I tried to sit up. Goddess, my entire body ached! I slowly stood up and leaned myself against a tree. "If this is the afterlife, why am I still feeling pain?" I spoke to myself as I looked up. I saw the little Riolu peer at me from behind an adjacent tree. "Trust me, you've nothing to fear from me. I don't even think I could hurt anything if I tried to at this point." I spoke as I looked around. "Maybe I'm in a coma. No, this...feels too real to be some mentally whipped up junk." man, things were just too weird. I wasn't sure just what was real or fantasy at this point. I sighed a breath of relief. ''Well, Buneary, we made it to Jublife City! ''I smiled at Buneary on my shoulder.''Bun! ''she replied.The both of us started our journey when I turned ten this year in Twinleaf.Now, without fear, I made it with Buneary to Jublife City!Phew.We did some training on the way.At least, for now.We'll train more later.Suddenly Buneary hopped excitedly off my shoulder and jumped up and down frantically, pointing her paw at the Jublife TV Building.''Bun!Bun!Buneary!! ''she kept jumping.I laughed. ''Okay Buneary.I promise we'll head there today.Now calm down! ''I grinned. ''But first, let's explore! ''I told her.She nodded eagerly. So that day Buneary and I explored Jublife City.We bought some potions, we visited the Jublife TV Building, and trained in an area nearby.Buneary grew stronger, and my courage grew bigger.Buneary an I also grew in to best friends.We met some trainers as we trained, but we won.Wow! !I loved this adventure to become the best of the best!''Buneary! ''I called.Buneary curiosly turned obiengly. ''We're gonna be the best Pokemon Master!'' I said gripping my wrist.''Bun! ''she agreed with a tough smile.And so, we continued to train.So far, she's beaten 3 Pokémon in a row.''Wow! !We're defintatly going to beat the gym leaders! ''I cheered.She smiled.Then suddenly, her ears perked up.I knew this was a sign danger was near.I looked around. ''Buneary, I don't see anyone.Are you sure that there's danger nearby? ''I asked.She nodded slowly. ''Well, let's look around.You can never be too sure.'' I assured her.She smiled at me and hopped on my shoulder. ''Okay danger, where ever you are, we'll find you!So get ready!! ''I confidently said.''Bun! ''Buneary mimiced. I flopped down on a bench nearby with Buneary.''Phew! ''I sighed.We didn't find anyone or anything suspicious-looking.''Bun.... ''she said sadly.Buneary was not happy that we didn't find anyone.I knew she felt as if she lied to me. ''Don't worry.You tried to warn me, and if there was anyone that was suspicous, you would have saved me!! ''I assured.That seemed to perk her up a bit.She nodded, smiling.She hopped off my shoulder as I got my bag, digging for my map.Finally finding it, I unfolded it as she layed down on the bench, relaxing. ''Let's see now...our next town is...''I trailed off. ''Oreburgh City!To get our first Pokemon badge! ''I said cheerily. ''Ready, Buneary!We're gonna get that badge whether they like it or not!! ''I smiled.She nodded.''Bun! ''She agreed. ''Well, let's go get some more training.We have to be ready for the gym! ''I said, getting off the bench.She just smiled as she hopped on my shoulder.As we were leaving to an area just up ahead, we heard an old but happy voice. ''Hey.Hey, you there! ''he called.I turned.''M-me? ''I asked nervoulsy.Buneary hopped in front of me. ''Don't worry, young one.I just want you to hear a tale I've recently heard about.It has something to do with the Space Pokémon, Palkia.'' I paused for a bit.Palkia?I've heard of it.Hm..I wonder what happened...?'' I thought. ''Listen, young one.You are about to hear a recently rare telling. ''He warned.My pokémon and I nodded. ''Well, this is what I heard...'' he began. I paused while looking at him. ''That's all you heard? ''I asked, not really inpressed, but amazed. ''Yup.Now, go run off.I have to go get my interview with Jublife TV! ''he said as he left.I stood up from the bench, stretching. ''Hm...Palkia, huh?I wonder what happened to it...'' I said trailing off.Buneary was staring off in to space. ''No time for that now.We have to get going! ''I said cheerily. ''Bun~''She agreed. I was simply walking along with Tyrant, laughing at his antics. Gabby and Bel were safe in their Pokeballs and my badges were stored in their case, inside my bag. I smirked. Eterna was where I was trying to get. I wanted my fourth badge. "So, Tyrant. I'm going to just use Bel, this time. 'Cause I heard Eterna City's gym only uses Grass-types. You and Gabby have disadvantages," I pointed out, as he was about to argue. Tyrant huffed and demonstrated his Flamethrower. I laughed. "Yeah, I know, buddy. Sorry." Floaroma Town was a place I'd come on vacation with my parents. They loved the outdoors and wanted me to get into them as well. I decided to take a break and train in the flower fields. There were a bunch of trainers there. Munchlax, Combee, Cherubi, Buizel, Driftloon... there were so many Pokemon there that I'd never seen before. That's what I get for being a Kanto kid. Tyrant and Bel were having the time of their lives. I laughed as Gabby and Bel chased each other around, since Bel ate some of Gabby's food. I'd never seen her so upset at Bel before. It really was laughable. I gazed around the flower fields, looking over them gently. Bel's metallic laughter rang through the air. I turned to see Tyrant and Gabby goofing around, Tyrant holding a red flower in his mouth while dancing the tango with Gabby. She looked like she was going to keel over with laughter. I laughed, doubling over at the sight. It was just too funny! I loved my Pokemon. They could always find time to goof off, but still battled hard. After around an hour and a half of training, I collapsed against a tree. How were Gabby and Tyrant still standing? They were still looking at all the different flowers. It was just... unnatural that Pokemon could stand after running a marathon around the whole field - twice! I didn't think it possible... Gabby called from a few feet away. I looked over and she was looking at a man who was being watched over by a Riolu. It was clear that he was wounded. "H-hey!" I called worriedly. "You okay?" I asked, running over to Gabby, who Tyrant and Bel were gathering around. "Guys, back off." They sat down, still staring at the man. "Sorry... They're a bit... eager to meet people." Looking him over, I noticed that he had a bunch of items that looked like defensive gear, and other things I'd never seen before. "Um... not my place, but are you from around here?" I asked, looking at him. Hearthome was a very eventful and exciting city. It didn't really catch my intrest but the gym did atleast caught some of my attention. Maybe after I trained my pokemon a bit. I knew Eeevee would be useless because he was a normal type and normal type moves didnt effect ghost types at all. Infernape's fighting moves would also be useless so I would rely on infernape's fire type moves. Eevee hated his pokeball, that was one thing that truly annoyed me about him. But otherwise he was pretty strong (believe it or not). Eevee was outstanded on how big this city was, he could get lost in this city no doubt. Eevee's ears twitched and he stopped. "Eevee? "I asked, a little concerned. Soon he ran off. This was another thing that annoyed me. I chased him practically all around this city. Passed it's pokemon contests, fanclubs, pokemon center, the gym, almost everywhere. Until Eevee stopped near a group of trainers in front of the contest area where it had a huge TV. "Arceus Eevee! Don't run off like that! "I snapped Eevee while picking him up. Eevee whimpered and his ears dropped low in a apologetic way. I sighed "It's okay, just don't run off unless I say so" Eevee's ears perked up and he smiled. "Hey you!" A trainer called out to me. I figured she didn't call out to me but it turns out she did. "I learned about this tale just a short bit ago! It's pretty scary but a little intresting too!" She exclaimed. It was a female trainer who seemed really eager, well anything to kill time would do the trick. Without out any answer from me she just went ahead. "Have you ever heard about the space pokemon Palkia?" She asked. Palkia? I remembered it from a book but it was still registering in my mind. "I heard that he was attacked by the end of a battle and one of his orbs on his sholder was shattered and entered the pokemon world! Isn't that so cool?" She said practically jumping up and down. Oh really? Well anything to fill up some of the pokedex's pages that would be great. I didn't really believe her. Silly tales. Eevee Looked at me a little scared. The girl soon left skipping, she looked suspicious like not really any other trainer at least. Eevee clawed at me motioning me to go to a different place. sometimes I didn't understand a thing Eevee was talking about. Eevee grabbed my bag and searched for something. "If there's any rare candies there, no you're not getting one," I said, Eevee shook his head and found what it was searching for, my badge case. Eevee pointed at the first one. "You're asking me to go to oreburgh city?" I asked, confused. Eevee nodded. Why did he want me to go there? "Wait, maybe you're saying we could possibly get more info there about the tale we heard from the girl? "I asked, possibly getting what Eevee was talking about. Eevee nodded and jumped up and down. "Alrigt then, let's go!.....Oh wait we don't having a flying type don't we? Shoot. Well race ya there!" I said to Eevee. I grabbed my badge case and as payback I ran from him while he was chasing me this time. ''Wow!! !We made it, Buneary!We really, really made it!'' I cried excitedly.''Bun!!Bun!Bun! ''she jumped up and down.I laughed.Now all we had to do was find the Gym Leader. ''Wait.Where is the Gym anyways? ''I asked her.''Bun..? ''she said looking around. ''Well, standing here's gonna do nothing to help us.We might as well look around. ''I sighed.I brushed my bangs out of my face as Buneary hopped on my shoulder. ''Bun!Bun Bun Buneary? ''she said, pointing her paw at a cave. ''Hm...are trying to say that you think the gym leader is in there? ''I guessed.Buneary and I had a close friendship, so I could almost understand everything that she tried to tell me.As I guessed, she nodded. I took a deep breath.Why?I'm not a real big fan of dark sacry things.But to find the Gym Leader, I might as well do it.Buneary hopped off my shoulders and into my arms.I hald tight, but not too tight.''Bun. ''she whimpered. ''Before we go in, let's get some potions.You never knew what to expect, anyway. ''I held Buneary looser.She nodded eagerly. Even though we both knew we had to go in at sometime, we sat down on a bench nearby in the shade. I layed my head on the bench and stared in to space.I bought her a juicy, red, small apple for her to eat.She started eating it bit by bit immediantly. ''Hey, Buneary,''I called.Her ears perked up but she continued to eat. ''We'll rest for a bit more, so you can relax.Buneary's ears returned to normal as she ate.''Buneary! !Bun~''she said when she tossed the core of the apple in to the trash.''Bun? ''She asked, pointing to the cave.I laughed. ''In a little bit.Just relax so you won't get scared while we're in. ''I told her.She just smiled. I sat down under one of the shady trees. I was pooped. i had been traveling on foot for days. My three pokemon cuddled around me, released and free. I pat PUchy's head. "Steady, boys." I said to all of them. They were tired too, worn out from battles and whatnot. I couldn't blame them. Us trainers, it seemed, never fought. We let our pokemon do it for us. I felt pretty bad because of it, I could throw good punch myself, but never did. I needed to find him though, no matter what. In the name of Palkia and Dialga, the pokemon that were in my old story books, I vowed it. I pulled out some pokeblocks and gave them to the boys, remembering that little story. "Wouldn't it be something to see Palkia, Chimchar?" I asked my chimchar He made a little sound. I thought for a moment on where I was going to go next. Reviewing, I thought about every place I had been to. One place stuck out. Oreburgh. Had I been there before? I thought I was going to collapse when we got to Oreburgh. Eevee soon caught and collapsed on the dirty ground. "You know, that was a good workout for a change," I said looking at the bright side. Eevee just looked at me like "What were you thinking?" I haven't been to oreburgh in a long time, last time I was here was when I got my first gym badge. I only had chimchar back then who was now Infernape. Eevee got up and dusted himself off with his tail. I figured we would just stay at the pokecenter till tomorrow. Then I just remembered something. That Palkia story, maybe Roark knows something. I doubted it since he was a rock type user but it was worth a try. I picked Eevee up noticing that his little stubby legs were tired and headed towards the gym. The gym was locked. He worked in the mines here with other workers. That wasn't much of a walk. I let Eevee go on my shoulder and let him rest there. Maybe I can let out Infernape since he was in his pokeball for so long. "Infernape, come out," I said releasing him out of his pokeball. Infernape came out and gave out his usual greeting, he looked around and soon reconized this place. "I figured you can get some air," I said almost patting his head until I realized it was like a fire torch instead of a warm furry head. I told Infernape the situation were in and soon it was like follow the leader but only this time it was "Follow the Infernape". As I passed by I saw a girl sitting on a bench with her Buneary. "Is that her? No, can't be. The girl in lilycove has red hair, god I'm stupid," He thought to himself. Infernape looked at me confused. "Nothing to worry about, Infernape, let's just keep going," I said. Turns out Roark didn't know a thing about Palkia, he just knew it was a legendary. Anyways he was done with his shift and returned to the gym. Eevee yawned as we were heading for the pokemon center. He nudged me or known in his language it meant "I'm hungry, give me a poffin," Infernape seemed to want one too. I got out my small poffin case and gave one spicy poffin to each of them. They like spicy ones better than any other flavor. Although it was hard for me to find berries that could make them. I sat at a nearby bench watching Eevee and Infernape chase each other in a game of tag. Eevee was way to fast for Infernape so , to increase his speed, he used flame wheel. But Eevee was still too fast. In the mean time I guess I could go to Enterna since there was a statue and some citizens taught me some legends about Palkia and Dialga, I guess they had a handful of info. I decided maybe tomorrow so my pokemon can get some rest and also for myself. Okay. ''Buneary, we've better get going.We might find the Gym Leader. ''I said, getting up from the bench.I suddenly had a burst of energy inside of me.Buneary hopped on my shoulders.I ran as fast as I could towards the cave.On the way, I bumped into a boy with his Infernape and Eevee.Oops. ''Sorry about that, mister! ''I yelled as I ran.Faster...Faster...Fastest as I could go.I had to run, or else I wouldn't have the courage to go in the cave.Suddenly my legs stopped at the entrance.Suddenly Roark came out as he headed for the gym.I just watched quietly.He didn't notice me.As soon as he walked in to what seemed like a gym, I walked there.Phew..... I thought.Buneary was now in my arms with a determined look on her face.We walked in the gym confidently. I walked camly out of the gym.For about three seconds.''Wooohoooo!! ''I yelled outloud.We did it!We did it!! !We got my first ever Sinnoh Gym Badge!Yay!''Buneary! ''Buneary mimiced me. ''Let's go to a Pokemon Center to get you better.The I'll buy you an apple, okay? ''I asked.She nodded happily.We eventully reached the Pokemon Center in no time.Buneary was quickly healed, and as promised I got her an apple and a water bottle for myself. We relaxed for awhile and I wondered where we had to go next.I got my bag as Buneary stared off in to space. ''Let's see....we need to go to,um...Oh!Here it is.Next Stop:Floaroma Town! ''I said closing the map.I looked at Buneary.Huh?Buneary was asleep in my lap.She looked so cute.I giggled as I patted her gently. Urh, I was so tired now. More tired then before. Even though I rode here on a bike most of the way, it was a long journey. "Don't ever travel such a long way..." I said to myself. I walked a little bit more, nearing the gym. I remembered this old gym. The leader was strong, back then. I smiled to myself, walking a bit more. Did Roark know about Palkia? I wondered. Since this morning, I had this thought and wanted to know more about the pearl pokemon. Each were trainers, I guess some would be practicing to earn that badge. There was a girl with a buneary. The rabbit pokemon was cute, I hadn't seen a buneary in a while. Then, someone else caught my eye. Near the pokemon center as well. Is that? It can't... I can't see his face so I don't know... Is it a good idea to approach him? I hesitated. truth be told, I didn't want to approach the man. What if it wasn't him? Oh, it hit me. I'd make some kind of noise to make him notice me! If it was him, I'd know then! "Come on out, Chimchar!" I kinda yelled. The monkey pokemon came out and jumped around. "I can see you're happy." I said, making sure to keep an eye on the man. Buneary woke up soon after hearing the noise of a Chimchar.''Bunear? ''she said sleepily.She suddenly woke up of her sleepiness and had the urge to battle.''Bun!!Bunear!! ''she said, pointing her paw at the Chimchar and it's trainer.''Eh?!? !You want to fight it?! ''I cried.Buneary nodded.Huh?Why?That's wierd. ''Fine, but only if the trainer says it's okay. ''I told her.She nodded happily.I sighed. I decided to try to call the girl.What do could go wrong? ''Hey, you!! ''I called her.I ran up to her with Buneary by my side. ''If ya don't mind, how about we have a one-on-one pokémon battle? ''I asked with a determined look. ''If you want to, meet me over back here in 5 minutes, 'Kay?Don't forget you have to choose only one pokémon in this battle, so pick a good one.See you then! The girl with the buneary approched me. Of course, it was a request for a battle. I glanced back at the man again and smirked. "Okay, I'll take you on but how about right here, right now?" I asked before she left. A pokemon battle would definatley get his attention, right? Besides, would it matter if it was now or later? "Chimchar, do you want to do this?" I asked the little fellow. He nodded and jumped around a bit in excitement. "Vice versa to you though, choose a good pokemon because Chimchar is awesome!" I yelled. The girl accepted a request.Good.Time to let go of some energy!I only have one pokémon, and this is my first badge, but I'm sure we'll win...I thought. ''I'd like to see you take on Buneary!Let's go Buneary! ''I clenched my fist and pointed to where we were battling.''Bun! ''Buneary hopped happily but confidently to where I pointed. ''By the way, before we start, I'm Sophie.Whoever loses treats the winner to Ice Cream, 'Kay? ''I winked at her. That girl with that chimchar looked exactly like the girl I knew back in Lilycove. It can't be her...she was terrified of pokemon. Soon the girl with the Buneary came over and asked the red headed girl to a battle. Chimchar vs Buneary. If Chimchar had fighting type moves he would easily have an advantage since Buneary was a normal type. But Buneary could also learn fighting type moves. I figured I can watch this battle. Eevee laid down next to my feet while Infernape watched and stared at the Buneary and Chimchar. Maybe I could teach them a few pointers about battling but maybe afterwards. I could see her smirk at me and this got me on my suspicions. I patted Calsifer's head, determined to win this thing. I turned my back on the man for one second, just to get this done with. After Sophie's introduction, I felt as if I needed to introduce myself as well. "Four year trainer, level five. I'm Rina, and surely I'll win." I said with a smirk. "I'll treat you to ice cream anyways, though." I said, winking back. I thought of a good battle strategy, quickly. Maybe one of those 'trick' moves that were sneaky but fair as well. "Why don't you make the first move?" I asked as Calsifer moved infront of me, closer to the buneary. ''Good luck, Buneary. ''I whispered to her.She nodded then smiled.''Bunear! ''she smiled confidently at the opponent. ''Four Year Trainer, huh?Cool!Go easy on me then, Rina.But if I do manage to win, I'll treat you to Ice Cream. ''I smiled. I could tell Rina was planning something, but I didn't know what.So I took her offer.'' 'Kay.Alright Buneary!Use Dizzy Punch, now! *''I commanded. Buneary obied me and ran her fastest towards Rina's chimchar, her ears rolling up.I watched eagerly, but I definetly knew I was going to have to treat Rina to Ice Cream.Oh, well.Buenary will feel great, at least.She's never crying or depressed when she loses.Maybe I just made a new friend.I wondered if she knew anything about Palkia. I stood in my pride. Sophie asked me to go easy on her, so I thought I'd do just that. "Sure thing, Sophie. Let's be gentle, Calsifer." I winked to the monkey. He smiled and looked back. The buneary attacked at full speed. I didn't say anything. Calsifer would know to evade. "Chim," Calsifer let out, avoiding the attacks coming at him. Sophie's own determination warmed me. It was good to see other trainers so passionate about this. Such a young trainer, it was nice to see such feelings in that. When Rina was Sophie's age, she hated pokemon. "Let's see your full potential." I said, going to command Calsifer to attack. I started off easliy with a defensive move. "Calsifer, use leer!" Calsifer looked the buneary straight in the eyes, stearnly. ''Bun!!Bunear!!Buneary!! ''Buneary cried as she tried to hit Rina's Calsifer.A miss...Good try, Buneary. I thought. Casifer dodged it and used Leer.I knew that the move lowered Buneary's defense stats, so I could also tell they were planning to attack.Wait.Buneary could doge it with Agility, right?Yup, that seemed good to me.As I was thinking, Buneary was hopping back until Calsifer used Leer and Buneary made a soft gulp.She was terrified of stern looks or way too much attention.When Calsifer was finished, Buneary was standing completly stiil. ''Buneary, snap out of it! ''I called.That worked.Buneary blinked a few times and started to move again. ''Now, buneary, use Agility! ''I yelled.Buneary relaxed and from our close friendship, I could tell her speed was rising by a lot.Pretty good. ''Your turn! ''I yelled to Rina. I felt like actually forfeiting or letting Sophie win for self esteem and the joy of victory, but even I knew that wouldn't be any fun. The adrenaline of battle was thrilling and it always had a sense of disappointment when it was over. I stepped up a notch. "Calsifer, use ember!" I yelled to the slightly confused pokemon. He knew that this buneary would be faster, there was no doubt. I would have to be careful about it. I searched in my bag to see if I had my berry pouch handy, just in case. Besides, the loser would have to heal their pokemon right away... Then again, there was a pokemon centre right there. "If we go with this speed, the battle will never be over." I said, laughing. Maybe throw in another attack quickly. "And after that, use fire spin!" Ember, huh?Hm...maybe a counter attack after dodging.Yeah, that could work! ''Buneary, dodge both and counterattack with Jump Kick!! ''I commanded.Buneary nodded and quickly--I could barely notice--dodged the atticks Calsifer sent out.I watched eagerly smiling. ''Not bad. ''I called to Buneary. ''It's your turn, again Rina! ''I called to Rina. What move would she use? I watched the battle go on for a while but things got a little boring, in a way. Calsifer was being quick and powerful as usual. I had to admit though, the buneary's kick had power to it. The duo held much potential, as well as trusted each other's strengths. A beep came from my wrist, a machine. I looked at it. It was my pre-set alarm for... O my gosh, it was that late? "Sophie, I'm so sorry." I said, taking my pokeball out for Calsifer. A red beam lit up and brought Calsifer back in. "I need to get back to LittleRoot right now, I have some business there." I pulled my bag, more sturdily, on my shoulder. "I guess you win, huh?" I said, as well as "I'll catch up with you sometime, and I'll get yout hat ice cream too. I promise." I winked and ran off, I needed to get to LittleRoot quickly. That man would have to wait. I was caught off-gaurd as a watch on Rina's wrist started beeping.Buneary, startled, jumped back to me. ''Sure thing, let's continue this another time.For now, it's a draw.I need to get to Jublife City, anyways.Bye, Rina! ''I called and waved.''Bunear! ''Buneary waved goodbye too. ''Buneary, we need to get to Jublife City.We have to! ''I told her.She understood and nodded.I bought a water bottle and a potion at the PokeMart so we wouldn't be tired.We ran our fastest back to Jublife City and wouldn't stop. Robert was in physical pain, and the camo clothing he wore where the KEVLAR armor wasn't protecting was stained in blood.. Robert pulled up the sleeve of one arm, but to his surprise, he found no wounds, despite the fading feeling of metallic cuts in his muscles. As Robert leaned standing against a tree, he lifted his head to see a guy heading in his direction, asking if he was alright. Riolu jumped out in front of Robert as if poising herself to protect him. Robert chuckled at the little Riolu. "It's alright, I don't think he means to harm me." Robert spoke to the little Pokemon before he looked up to the one who addressed him. "Aside from being in pain, I seem to be alright. Either that or I just got pulled into a scene straight from the Wizard of Oz. Still, if you know a hospital in the area, I'd prefer not to leave things to chance. And no. I'm not from 'here', where ever 'here' is." Robert spoke calmly as he took off his helmet. I laughed, a little bit confused. "Here... here is the Sinnoh Region! How'd you end up here without knowing it?" I asked. Bel seemed to narrow his one eye at the man. "Bel, please, calm down. He doesn't seem mean. Gabby, Tyrant, you guys take Bel and go have fun." Tyrant stood up, albeit reluctantly, and growled something to Gabby. She glared fiercely at the man and the three stalked off, exchanging suspicious look. It was then I noticed the blood. "Are you alright?" I squeaked. "Your shirt is stained! What happened? Did a Pokemon do this to you?" I quickly knelt to get bandages from my bag. "Um... do you need any medical attention?" I asked, looking up at the man. I was feeling faint. My arms and legs were covered in cuts from various plants and bushes. Panting heavily, I knew I should have taken a break at the last town. Hiking. That was what I convinced myself running away from home was. "Hiking," I sighed. "I should have stayed home..." I collapsed against a nearby tree, my legs shaking, not enough to hold them up. Sliding down the bark, I pulled a bag of fruit out of my bag. After shoving three pieces of apple down into my empty stomach, I stood up shakily. I kept walking along the paved road. It was true; I was a runaway. Around three years ago, I was diagnosed with breast cancer. No one would let me out of their sight for more than a minute, even to go to the bathroom! It was horrible. I never liked people fawning over me. So, to get away from it all, I decided to leave. Stupid decision, I know. It was such a selfish thing to do! All I did was worry other people that loved me. I was so engrossed in my self-pity that I didn't notice the drop. It was a tiny cliff above a river. I didn't see that I was walking straight towards it until I tripped over a small pebble. I didn't even have time to scream, only to realize that I was falling headfirst towards a shallow, rocky river. Squeezing my eyes shut, I only prayed that my imminent death would be fast. But when I opened my eyes, the sky was clear blue. The wind was blowing through the tall grass I landed next to. I pushed myself up only to find that I had a massive headache. There was a pond next to me, too. My eyes lit up and I crawled over to it, splashing some on my face. I stopped when I saw to adorable black eyes staring up at me. A little blue and white snake-like dragon slithered out of the pond and squealed, "Dra~" I realized what it was. It was a Pokemon known as Dratini, one from the first generation of the Pokemon games. I laughed. "Hey there." It squealed and nudged a bruise on my arm. I winced. "Ouch." It looked up at me worriedly. "Don't worry... I just have to find some help."